Lentz tried to put the situation into perspective by pointing out that only the Tesla Model 3, of all the electrified models now on the market currently is generating more than 10,000 sales per month. And of the 94 “electrified” vehicles on the market – including hybrids, plug-ins and pure battery-electric vehicles – only six top 2,000 a month. Proponents of battery technology are quick to note that sales of EVs surged to 600,000 worldwide last year. The Chinese market saw demand for plug-based products double while the U.S. had double-digit growth of its own. But Lentz remains skeptical that the pace will pick up quickly enough to take the pressure off the industry. 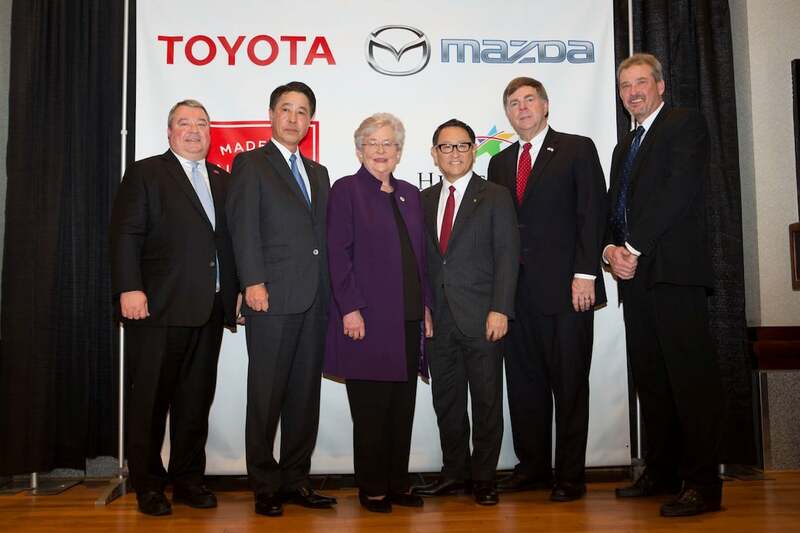 Officials are all smiles after Toyota and Mazda announced it would build its new plant in Alabama. The site will build some electric vehicles. Lentz admitted that everything related to the transportation industry has become increasingly difficult to predict. In a Q&A session at the Automotive New World Congress, he pointed out some bad calls on his own part. At the beginning of the decade he anticipated that the world would reach “peak oil,” the point at which global supplies start to diminish, by 2025, with fuel prices now on a path to $6 a gallon. Gas currently costs a third of that, largely because of a glut of oil. But that’s only made it even more difficult to build demand for alternative powertrain technologies, said Lentz. And it’s not just battery technology that’s proving a hard sell. Toyota is currently one of three manufacturers offering fuel-cell vehicles in the U.S., with its Mirai model launched in 2015. So far, however, Toyota has struggled to sell just a few 100 of those FCVs, and its competitors haven’t done much better. Lentz isn’t the only one expressing his concerns about the industry’s heavily funded rush into electrification. 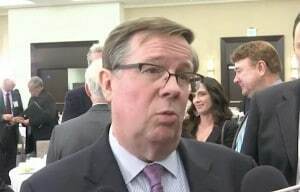 “We have to reduce the amount of money everybody’s pouring in,” Don Walker, the CEO of Canadian-based mega-supplier Magna International, warned in his own speech to the World Congress. 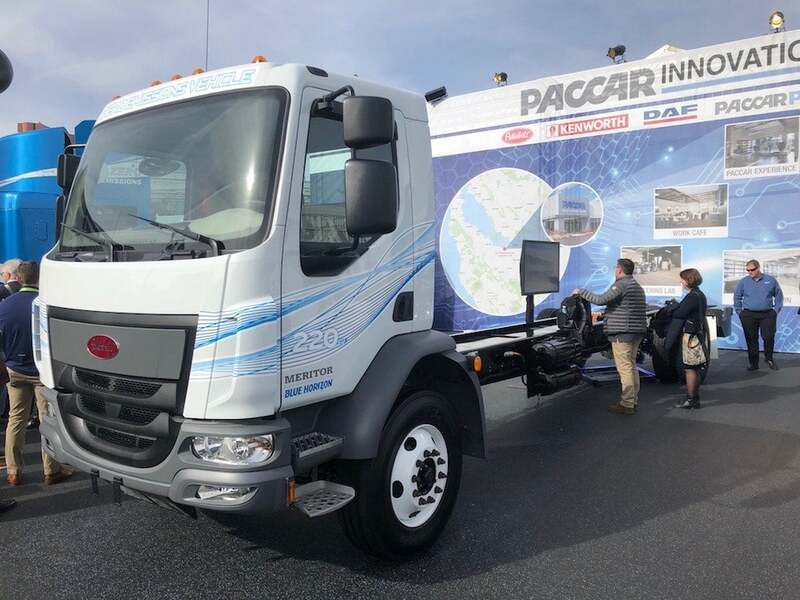 Despite such concerns, few experts see the industry pulling back on the shift to alternative propulsion. Denis Le Vot, the CEO of Nissan North America, on Monday said his company will have eight BEVs in the market within five years and predicted it will soon be selling 1 million EVs annually, a number similar to what Volkswagen is looking at. Proponents believe the tipping point will be driven by three factors: the arrival of new long-range models, the growth of the public EV charging infrastructure, and a steady downward shift in EV prices. This entry was posted on Wednesday, January 16th, 2019 at and is filed under Asia Pacific, Automakers, Automobiles, Business, China, EVs, Electrified Vehicles, Europe, Executives, Fuel Cell, Hybrids, Markets, NAFTA, Personalities, Sales, Sales, South America, Technology, Toyota, Trends, U.S./North America. You can follow any responses to this entry through the RSS 2.0 feed. Both comments and pings are currently closed.